Transdisciplinarity is an approach to conducting research that collaborates across the boundaries of disciplines but also across academia and real-world contexts. Like the emerging design field of Transition Design, these projects tackle complex, layered issues and work together with experts who live the problem every day and people who have expertise in relevant fields. It’s useful to compare Transdisciplinary to other forms of cross-disciplinary work, to explain why it is a more active and tactical way of conducting research projects. Multidisciplinary research tends to mean that multiple disciplines have been referenced, but they are not interacting with or informing each other. Victoria Martin (2017) provides an example of a multidisciplinary work that might analyze a piece of literature from multiple disciplines. The insights would sit next to each other, separately in chapters, one after another– not interconnected and influencing each other. Feminist theorist Sally Kitch writes that “multidisciplinarity involves a relationship of proximity rather than of integration, even if it is accomplished by an individual scholar” (p. 125). The output of this type of research is typically something that looks like a collection of articles written from multiple points of view, on a single topic. Next, interdisciplinarity is a more collaborative effort where multiple researchers from different disciplines work together in a way that influences the methodology, so it is more integrative than multidisciplinary projects. Martin (2017) describes a project where researchers from several disciplines might create one research tool that incorporates knowledge from each of their areas of expertise to be applied in the project. It “may result in a mixed-methods multilevel analysis and interpretation of this societal problem and lead to a coauthored article or a series of coauthored articles” (P. 42). In this way, the researchers are learning from each other and sharing the information in a way that has synthesized their cross-disciplinary interpretations. So the output is one cohesive perspective on an issue, rather than a collection of different views. Interdisciplinary approaches can address complex problems by examining them from multiple areas of expertise, and like transdisciplinarity, it “thrives in a dynamic environment where disciplines evolve, new disciplines emerge, and questions, issues, and problems shift over time” (Martin, 2017, p. 38). However, a crucial distinction for me is that the final output remains in the domain of academia. The objective of such projects is most often to create new perspectives and knowledge, not to create change or solve problems actively. This real-world integration is where transdisciplinarity shines. Transdisciplinary work rebels against the boundaries of disciplines, and the boundary between academia and experiential knowledge, to work toward practical, implementable solutions and new ways of building knowledge. Martin (2017) quotes Manderson to describe the ambitious goals of transdisciplinarity, “not to transcend that knowledge base but rather to transform it” (p. 39). Montuori (2012) helps to clarify what is helpful about breaking down these barriers is to “step outside the confines of disciplinary knowledge” (p. 2). When we study and appreciate research paradigms from multiple disciplines in our own processes, we can look at forming questions that have “an awareness of the many different ways a particular question can be framed” (p. 2). We can discover the in-between space that we could miss when looking from only one discipline — uncovering a new way of looking at issues and strengthening the other disciplines in the process. Two key attributes that distinguish a Transdisciplinary approach are (1) academic experts working together from different disciplines, and (2) people with experience on the ground, who are directly impacted by the problem they are trying to solve, working alongside academic researchers– not as objects of the research, but as team members. This parity results in outputs that examine and synthesize the contributions from these academic and non-academic participants to provide “a useful roadmap for responding more effectively to [the societal challenge]” (Martin, 2017, p. 42). The product might be a series of practical changes at the community level or a plan to influence national policies. Because the work has involved non-academics, the output is active change rather than journal articles and theory. That is not to say that transdisciplinary work does not seek to contribute to academic knowledge, but it is not the only goal of the work. Perhaps, too often, aiming to be published in academia restricts the way work is conducted. If the researchers focus most on being publishable within the boundaries of their discipline, then it shapes who and how collaborations can happen. By turning away from disciplinary rules as a guideline, the transdisciplinary researcher is freed up to work with all of the people involved in a challenge. And to shape research strategies in a way that responds to the needs of the problem, as long as they have integrity as research methods. Kitch, S. L. (2011). Feminist interdisciplinary approaches to knowledge building. Handbook of feminist research: Theory and praxis. SAGE publications. Martin, V. (2017). Transdisciplinarity revealed: What librarians need to know. ABC-CLIO. Montuori, A. (2012). Five Dimensions of Applied Transdisciplinarity. Integral Leadership Review, 12(4). 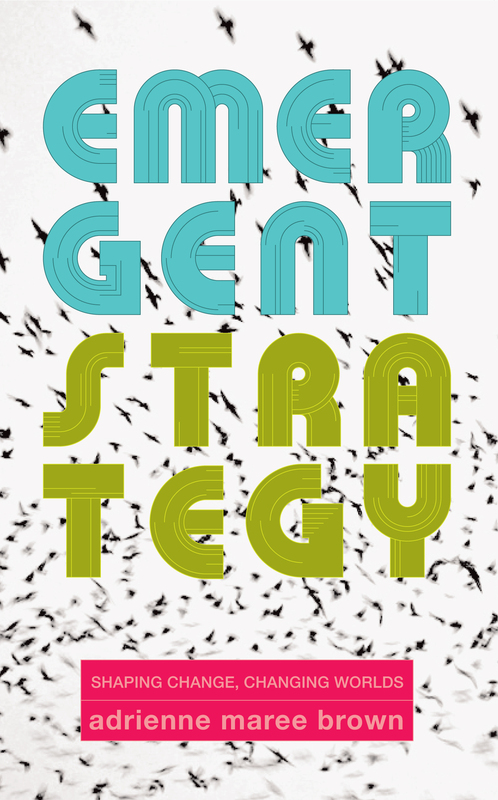 This is an approachable and inspiring academic book of essays, case studies, and reflections on the emerging field of Design Anthropology. It pushes further beyond the techniques and methods of the first, seminal book to introduce the practice in 2013, “Design Anthropology: Theory and Practice.” Here many of the same contributors dive deeper into the concept of “future”– or “multiple futures,” a concept which they propose to be more accurate. This collection shows us that Anthropologists can integrate the collaborative making aspects of Design to move beyond observation of the current state of a society or system and begin to understand what may be possible, plausible and preferable in the future. The editors write, “The approaches presented in this volume are acutely attuned to political issues, socio-economic differences and their effects on future-making practices in situated contexts.” Illustrating how the sensitivities of Anthropological ways of knowing can strengthen our perspectives on how co-designed futures are received by those who interact with them in context. 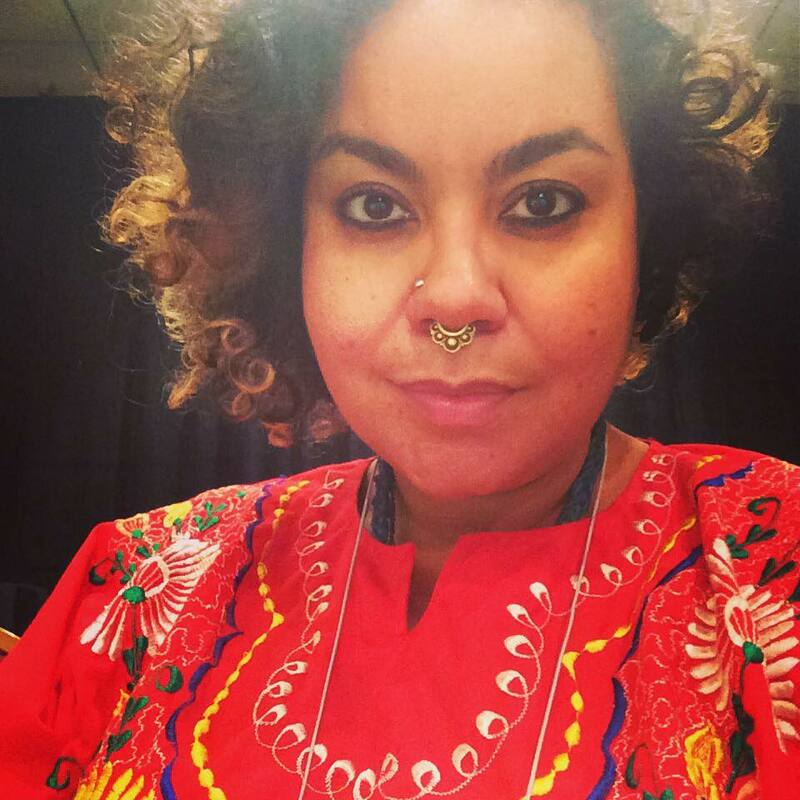 Recently adrienne maree brown published a very personal and insightful reflection of her study of what works in centering social movements + inspiration from black, feminist science fiction, titled Emergent Strategy. She speaks the language of design naturally. I picked up the book on an impulse because the subtitle speaks to the goals of Transition Design, “Shaping Change, Changing Worlds.” And I am thrilled because she explains many of the Transition theories that Tonkinwise, Kossoff, and Irwin describe— but she is presenting them in simple structures, helping me to understand them further. 1. Describing why Transition Design is necessary and possible. “I would call our work to change the world, ‘science fictional behavior’ —being concerned with the way our actions and beliefs now, today, will shape the future, tomorrow, the next generations.We are excited by what we can create; we believe it is possible to create the next world. “How do we create and proliferate a compelling vision of economies and ecologists that center humans and the natural world over the accumulation of material? “We embody. We learn. We release the idea of failure because it’s all data. But first we imagine. “Our tendency is toward hierarchical and capitalistic and growth at all costs. But it is the adaptive and collaborative practices that are more sustainable. Those are the beings that survive through change. “What we practice at the small-scale sets the patterns for the whole system. To see our own lives and work and relationships as a front line, a first place we can practice justice, liberation’s, and alignment with each other and the planet. “We are microsystems. We must create patterns that cycle upwards. 3. To look at everything with LOVE is the best, healthiest way to be personally resilient enough to tackle these difficult challenges. “Where shame makes us freeze and try to get really small and invisible, pleasure invites us to move, to open, to grow. “I am listening now with all my senses, as if the whole universe might exist just to teach me more about love… This practice lets me connect to the part of myself that is divine, aligned with the universe, and the place within myself where I can be a conduit for spiritual truth. “Nothing is required of me more than being, and creating. Simultaneously being present with who I am, who we are as a species…and creating who we must become, and within that who I must become. The lack of comfort with, and trust in, politicians makes me think of the newly-realized sexual assault accountability for (some) politicians. And a recent Ezra Klein show podcast that presents the idea that Congress is not debating enough– within each party. Republicans especially are afraid to disagree with each other, and therefore BEST solutions don’t emerge. James Wallner, author and political scientist, makes a case for more discussion, less suppression. The Democratic Party needs a redefinition. If we impeach Trump— will we be ready for a well-thought-out next step? What will we do differently to be a better option as a Democratic Party? 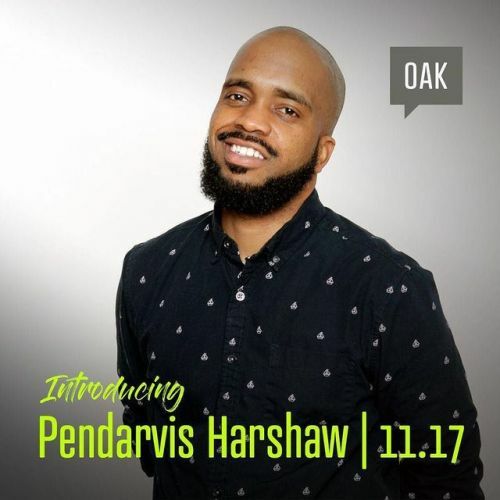 Pendarvis Harshaw spoke at the Creative Mornings Oakland‘s (free!) monthly event today. He is a journalist and educator who lives and reflects on the issues of Black culture in Oakland and everywhere. He is probably most known for collecting wisdom from older Black men and sharing those stories at #OGToldMe. As I listened, I heard several opportunities for Transition Design level analysis and fresh ideas for reversing social tragedies. How might we stop the cycle of “babies and bullets?” And how might we care for the women who are left holding it all together? The book, The Righteous Mind: Why Good People are Divided by Politics and Religion, has been the most helpful framework for understanding how divided the United States currently is, and why Democrats and Republicans cannot come remotely close to understanding each other’s motivations. To sum it up far too quickly, Jonathan Haidt and his team of moral psychologists have researched and identified 6 foundations that make up our individual sense of what is right and wrong. Democrats, Republicans and Libertarians different greatly. Care/harm: attachment systems and an ability to feel (and dislike) the pain of others. It underlies virtues of kindness, gentleness, and nurturance. Liberty/oppression: resentment people feel toward those who dominate them and restrict their liberty. Its intuitions are often in tension with those of the authority foundation. The hatred of bullies and dominators motivates people to come together, in solidarity, to oppose or take down the oppressor. Fairness/cheating: reciprocal altruism. It generates ideas of justice, rights, and autonomy. Authority/subversion: our long primate history of hierarchical social interactions. It underlies virtues of leadership and followership, including deference to legitimate authority and respect for traditions. Sanctity/degradation: the psychology of disgust and contamination. It underlies religious notions of striving to live in an elevated, less carnal, more noble way. It underlies the widespread idea that the body is a temple which can be desecrated by immoral activities and contaminants (an idea not unique to religious traditions). Libertarians value Liberty/Oppression and Fairness/Cheating to a much greater degree than any of the others. Transition Design challenges are not the “Tame Problems” of capitalism that impose artificial boundaries and do not consider social and environmental concerns. Every challenge we take on as designers is likely to exist within a changing system. Our proposed solutions may be quickly outdated, or inconsiderate, if we deliver them as confident, final solutions rather than the tweaks to a living, human system that they are. Learning the mindset of “intervene, observe, adapt” or “seed and catalyze” may be a useful addition to all of our design toolkits.